Berkeley Citizens, Inc. (BCI) is a non-profit human service organization that provides individuals with lifelong intellectual developmental disabilities the opportunity to develop and maintain a productive, self-fulfilling life. We provide case management services for more than 800 people, including early intervention services for children with developmental disabilities, ages newborn to three. Most of the people we serve are children and toddlers who live at home. BCI also manages and maintains a variety of residential options and an adult day workshop that provides employment opportunities to Berkeley County residents with intellectual developmental disabilities. 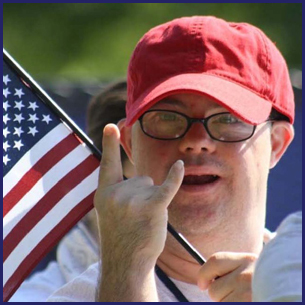 Our programs and services are funded by the South Carolina Department of Disabilities and Special Needs, grants, and by donations from private companies and individuals like you. If you or a family member needs our services, please call 843-761-0300 and ask to speak with our Director of Family Services. We are happy to talk with you and see how we can help. If you prefer to talk with someone in person, please visit our office at 1301 Old Highway 52 South in Moncks Corner, Monday-Friday from 8am to 4pm. Berkeley Citizens, Inc. (BCI) is a non-profit 501 (C)3 human service organization whose goal is to provide individuals with lifelong intellectual disabilities the opportunity to develop and maintain productive, self-fulfilling lifestyles. Our mission is to create and promote opportunities for people with intellectual developmental disabilities through individually designed supports, services and training in a way that protects an individual’s dignity, rights and self-worth.